Mom can always use a $50 gift card, right? Another thing that I have been able to indulge in from time to time is a pampering experience at my spa of choice, Xage Medical Spa. I love the gift of a massage or some other pampering experience. It relaxes me and makes me feel oh-so-special. Another thing that is great for this time of year is laser hair removal! If you want to get smooth skin that is free of unwanted hair, you should look for a laser hair removal practitioner with years of experience performing this treatment. Though this procedure is generally safe, the only way to lower your risk is by using an expert with the skills to handle a laser. You will be pleased with the knowledge held by the staff at Xage Medical Spa. We take pride in only employing professionals with experience offering this treatment. Since lasers can cause permanent damage to the skin when not used correctly, you need to stick to a company that takes the proper precautions. We keep at least one doctor on the premises to provide additional supervision, though we make sure to train our employees with the latest techniques and safety measures. This way, in the rare event of a problem, we can get you treated immediately so you get attractive results without permanent damage. If you are ready to stop spending time and money shaving or waxing, we urge you to consider our services. I love Xage Medical Spa because the staff is very friendly and knowledgeable. The spa is actually owned and operated by the doctor who is on the premises. He has many years of experience and is known as the best injectionist in Utah, as well as many other areas of expertise, including women's hormonal health. They use the most up-to-date laser equipment and up-to-date training. If you live in Utah, you definitely need to make an appointment and if you don't, by all means come and visit! Enter the giveaway below for a $50 Visa Gift Card from Xage Medical Spa! Open to US and Canada! Disclaimer: Open to U.S. and Canada. I received product for this giveaway for review purposes. Must be 18 years of age or older to participate. 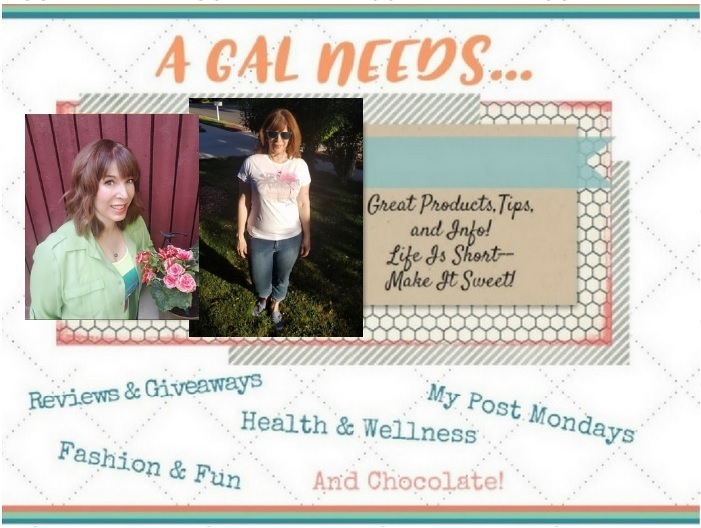 A GAL NEEDS...is not responsible for non-delivery of product or services by any featured companies. Only 1 entrant per household. Double entries will be disqualified. Winner will be contacted after 5/18/13 by e-mail. Must respond within 48 hours. Entrants with invalid entries will be disqualified. I'd love to have Laser Hair Removal done. I would love to get a massage. That sounds wonderful. I would get laser hair removal! i would love love love a massage! I could really use the Daily Sun Defense. Just a massage -- I currently like everything the way it is right now, lol. I'd be interested in a Swedish massage. I'd love the Swedish Massage. Thanks so much. I would love the ReFirme Skin Tightening procedure,could really use it!! I would like to get the wrinkle and lip fillers. I've always wanted eyelash extensions. Hate to say it but I'd love the Laser Hair Removal. I would love a swedish massage. the eyeliner permanent makeup sounds awesome! I would like to try Xage's Photo Facial treatment. I would like to try the Blu-U treatments. I would love to get the Wrinkle Fillers. I would like to have the Mesotherapy service done! I want to get Eyelash extensions. I would like to try the reconditioning and firming treatment! I could possibly see myself getting vein removal in the future. A massage would do wonders for me. Swedish Massage! Thanks for a fantabulous giveaway and chance to win it! A massage or skin rejuvenation. Definitely a massage and a facial! Physical UV Defense SPF 30 by SkinCeuticals that they carry! I would love a massage and vein removal. At my age, I could use skin tightening! I would like to try the deep tissue massage. I like the Simply Clean cleanser. Definitely interested in ozone therapy! I would really love to get a massage. I've never had one but have always heard how great they are. Thanks for the giveaway! As achy as I have been lately, a massage for sure. I would be interested in a Swedish Massage. I would like to get eyelash extensions. Any massage would make me happy. Skin tightening would be just the ticket! definitely some laser hair removal...i hate shaving! The Swedish Massage Provo sounds awesome. The Swedish massage for sure!! I could so go for a massage - thank you. A Swedish massage sounds wonderful. I would like to do the photofacial. I would like a Lomi Lomi Massage. I would love to get the Vein Removal. I would love to have a Deep tissue Massage!! Definitely the laser hair remover, that would be wonderful. I would like a massage. The laser hair removal! I really want to do that! I'd like to get Skin Tightening done. I would go with vein removal! I would love eyelash extensions. The Pokahu Lomi! I've always wanted to try a hot stone massage. I would be interested in a Photo Facial! Need some laser hair removal for my chin. I would like to try the ozone therapy. It sounds very beneficial. I would get laser hair removal. I would like to try the wrinkle filler. A massage is always nice. I would love to have the massage. Would love to try the Pigment Regulator. would love to try the deep tissue massage! The ozone therapy sounds amazing! I'd like the ozone therapy. Ozone therapy sounds interesting. My WBC is always a little higher than average and it's baffled doctors for years. I wonder if ozone would help lower it! The Ozone Therapy sounds pretty cool - I'd go for that first! The Lomi Lomi Massage Prove sounds nice! I could use the skin tightening and laser hair removal. Oh, OK, I'll admit that I could probably use ALL the services offered. Right now I can use the Ozone Therapy. I feel like I'm chock full of bacteria. I would love to get laser hair removal :) I hate shaving ! I might like Eye Lash Extensions. I would be interested in the skin rejuvenation! The Laser Hair Removal- I have lots that don't grow back due to years of epilady and gently gold but a few stubborn spots I would love to get rid of. The ReFirme Skin Tightening sounds great! I would love the massage!